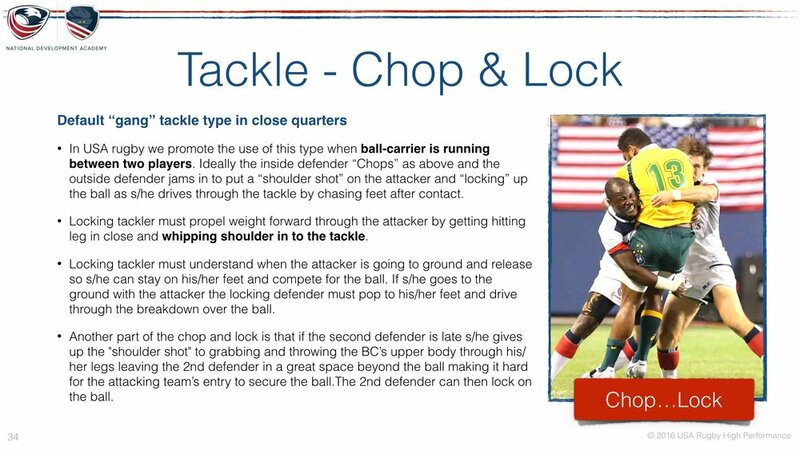 Attack: Generate quick phase recycle with minimum numbers required: "LQB: Lightning Quick Ball." 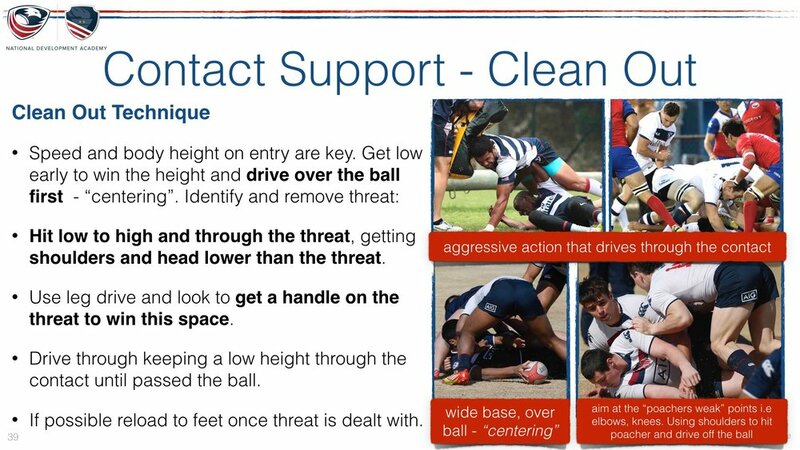 Safety: if required, cleans up. 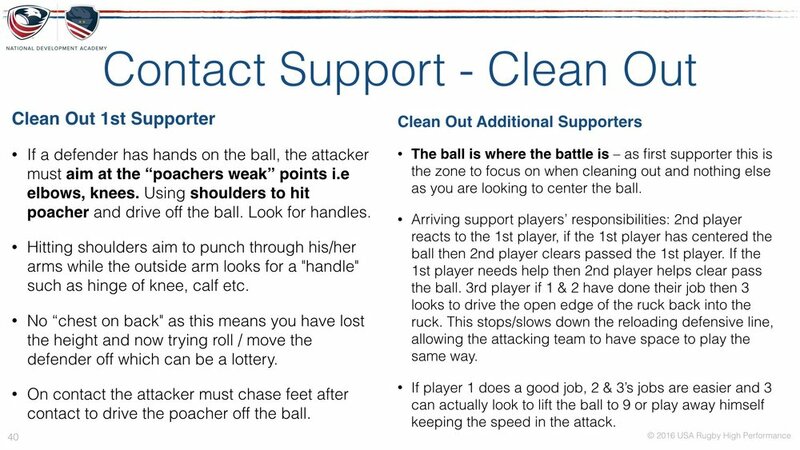 Contest & Conquer: either go for the ball (poach) or win the space past the ball and win contest with the 1st supporting attacking player. 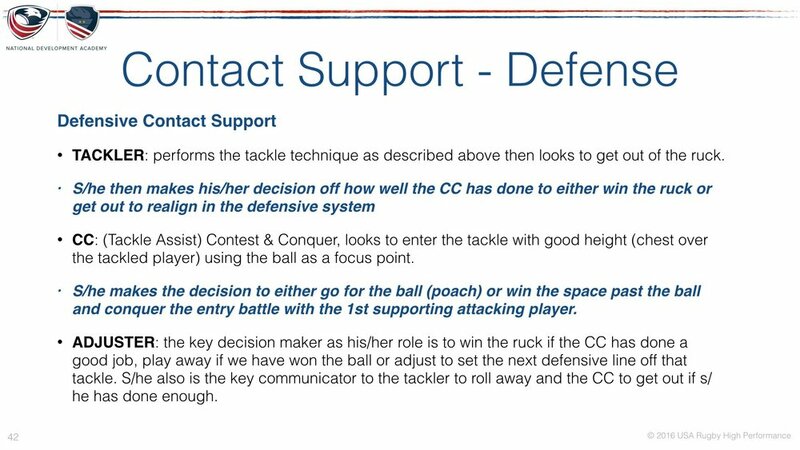 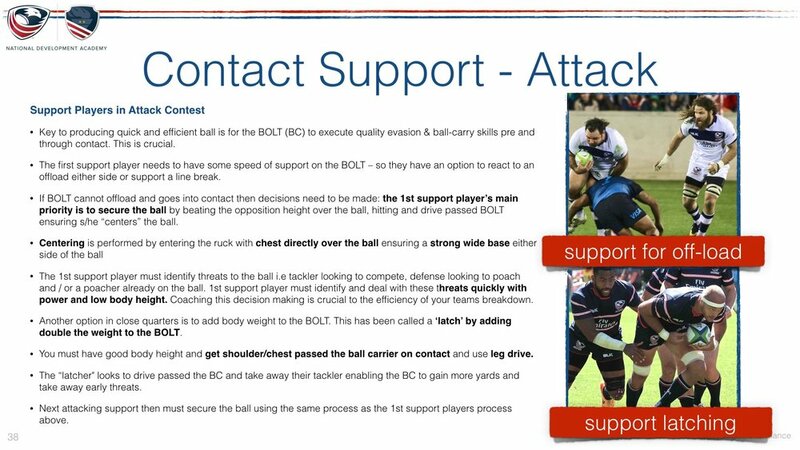 Adjuster: key decision maker as his/her role is to win the ruck if the CC has done a good job, play away if we have won the ball or adjust to set the next defensive line off that tackle. 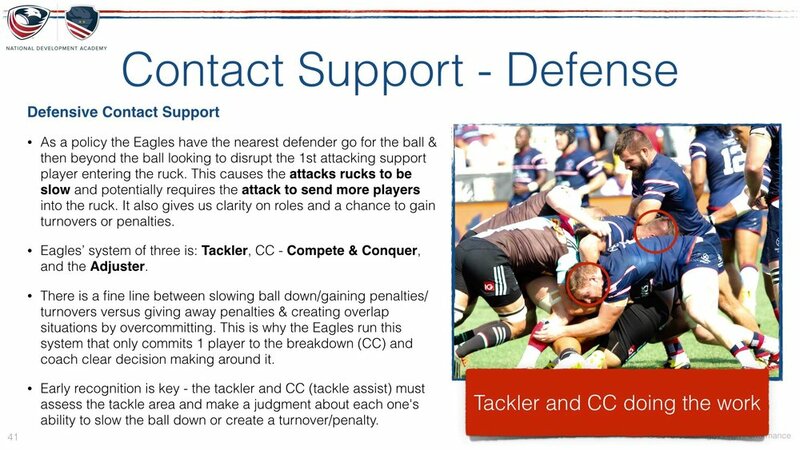 S/he also is the key communicator to the tackler to roll away and the CC to get out if s/he has done enough.